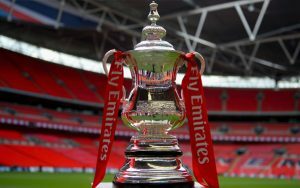 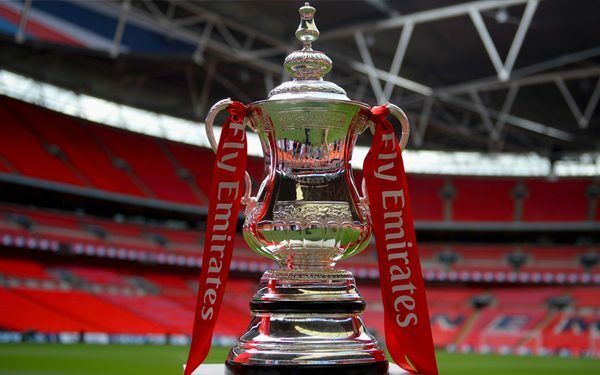 FA Cup 2018 Final Football Tickets – Wembley Stadium – Hospitality: The Club Level seats are located on the middle tier of the stadium. 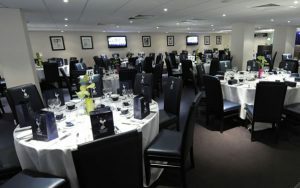 Next to the Club Level Wembley seats, we have options to the Bobby Moore Club. 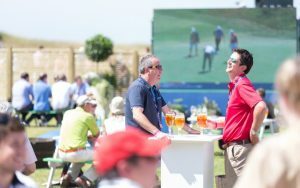 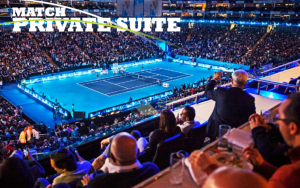 These seats are located in blocks 101-102-143-144 and include a champagne arrival, three-course meal and complementary soft drinks, beer and a selection of wines. 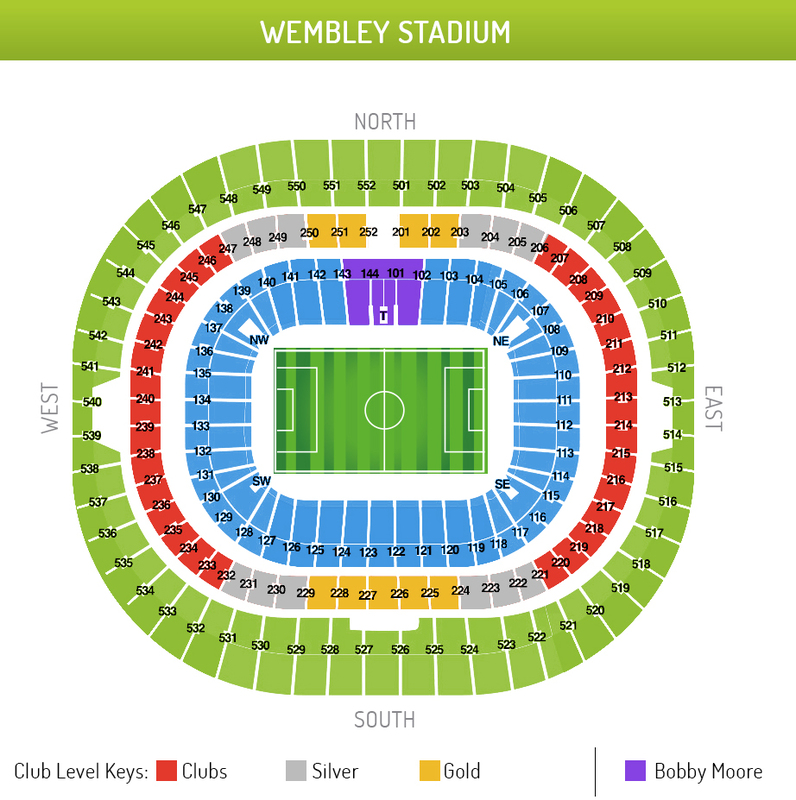 Please note – The Club Wembley is a ‘neutral’ zone. 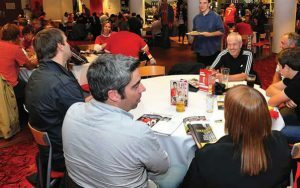 Clients cannot wear any team related merchandise such as team shirts or scarfs. 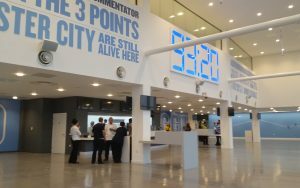 The entry may be denied if people are wearing team shirts. 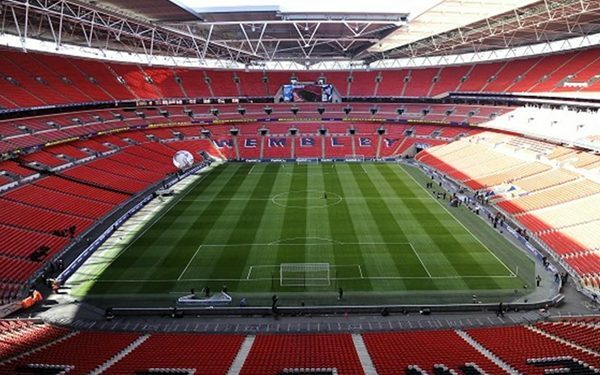 For the Club Wembley Shortside we can guarantee up to 4 seats together for the mentioned prices. 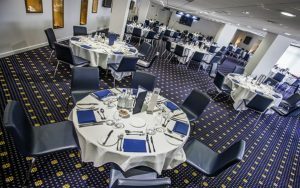 For the Club Longside and Club Halfway Line please request with our team in order to guarantee more than 2 seats together for mentioned prices.